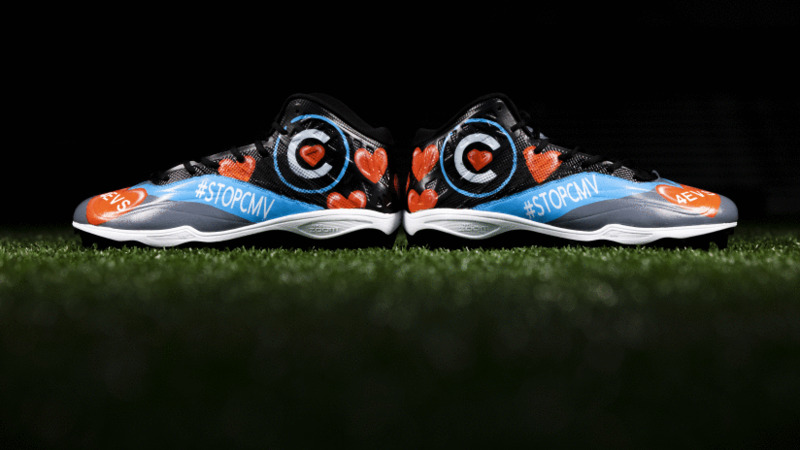 With John working in the NFL and the My Cause, My Cleats Campaign bringing national attention to a multitude of causes, there lay an opportunity that was readily taken by a couple of guys that are hard to miss on Sundays. The linebacker got the Community MVP belt this week. Lynch is always participating in Buccaneers and player-led events. Any opportunity he has to get out in the Tampa Bay community, he takes it. He’s been on multiple visits through the Social Justice Initiative, offering up encouragement to juvenile inmates at a detention center and lending an ear to ex-offenders as they make their way back into the work force. 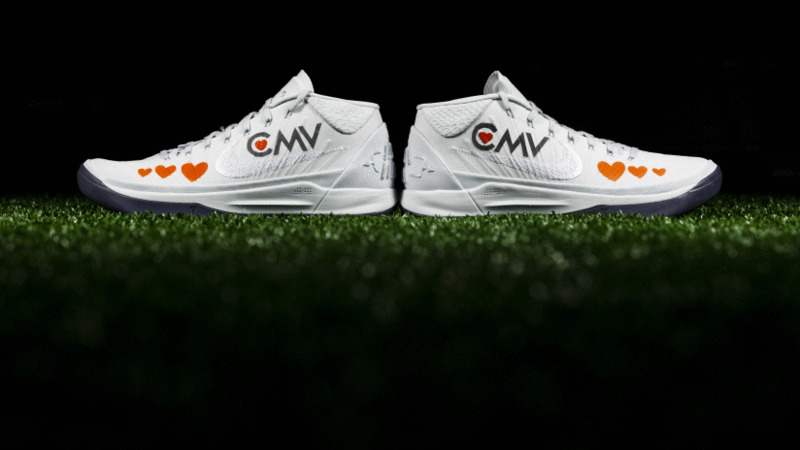 Lynch also participated in the NFL’s My Cause, My Cleats initiative where he wore cleats in support of Athletes in Action Syracuse, bringing awareness to rare diseases through his alma mater. 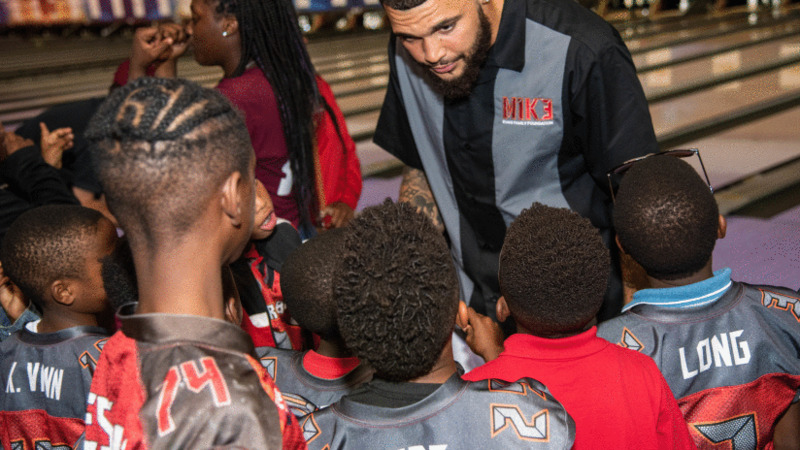 Last week, wide receiver Mike Evans held not one, not two, but three back-to-back events on behalf of his Mike Evans Family Foundation to brighten the holidays for plenty of folks around the Tampa Bay area. The first was his Catch for Christmas Celebrity Bowling Tournament, where he and a number of his teammates mixed and mingled with Bucs fans who had bought a lane at the Crossroads Bowl in Brandon. All proceeds went to provide college scholarships through Evans’ Foundation, which aids underserved youth who meet the academic standards to go to college but may not have the resources or means. His quarterback, who has his own Jameis Winston’s Dream Forever Foundation, was on hand to support not only in person, but sponsored a lane on behalf of his charity, as well. It brought teammates together for some food, fun and bowling, and it was just the beginning of a do-good week for Evans. The next night, Evans and his wife, Ashli, visited the Children’s Home Network, which is a residential shelter for neglected or abused children. Another pillar of Evans’ Foundation is to help victims of domestic violence. He’s involved in efforts both here in the Bay area and back in his home state of Texas. The Evans family brought dinner along with toys for Christmas for the children that live at the shelter. They spent time with the kids and played games. They also donated necessity items that the shelter is in need of year-round; things like shower curtains, sheets and toiletries. The Evans want to make sure children feel loved and cared for, especially around the holidays. The week was capped off with a surprise for a few Jr. Bucs football players who had made good grades in school. A group of 13 boys visited AdventHealth Training Center under the guise they were there for a tour of the facility. Little did they know, their favorite player had a ton of surprises in store, starting by getting in on a group photo to start the day. Evans then personally led them around the facility, showing them where he trains and even giving out signed football cards straight from his locker. Evans then took the boys out to the indoor facility where inflatables and games had been set up. It of course, turned into Evans launching deep passes in one-on-one drills with the boys and they couldn’t have loved it any more. After all that, everyone settled into the dining room for pizza and ice cream, but Evans still wasn’t done. He had saved the auditorium for last, where upon walking in, the boys saw a whole holiday setup complete with gaming systems and swag for each one of them. Several Buccaneers players, including defensive tackle Gerald McCoy, visited the Zephyrhills Correctional Institute in support of the Abe Brown Ministries Prison Crusade, aiming to give encouragement and uplifting messages through the Christian gospel to inmates at the facility. Players and inmates alike shared their testimonies and how faith plays a role in their lives, however different they may be. The visit was part of the Bucs’ player-led Social Justice Initiative and the final event of the 2018 season. To read more about the full visit, click here. The Buccaneers Rookie Club visited Reddick Elementary School in Wimauma during their off day to surprise fourth and fifth-grade students. They brought Bucs games and surprised every child with brand-new Nike shoes. It was in conjunction with the Florida Dairy Council, who unveiled new milk coolers for the school. Through the Fuel Up to Play 60 Program, Reddick was awarded the $10,000 Hometown Grant by the Council as well. Big kids and actual kids alike took part in football drills and obstacle courses out in a grassy courtyard in the middle of the school. Rookie defensive tackle Vita Vea made his own rules during the game. Fresh off his Walter Payton Man of the Year nomination, Gerald McCoy launched his Patricia Diane Foundation, named for his mother and in honor of single-parent households, on Friday night. “Patricia’s Mission Night” was put on at T.Pepin’s Hospitality event center and included a live auction where McCoy’s teammates auctioned off their own signed jerseys. Ten players were in attendance to support their veteran lineman, wanting to recognize all the good he does for the Tampa Bay community. Gerald McCoy launched his Patricia Diane Foundation, named for his mother, which benefits single-parent households. Though this was his first event on behalf of his new foundation, McCoy has been a staple in the Tampa Bay community for his efforts. His latest venture in the community is his involvement with the Tampa Bay Buccaneers Social Justice Board. The Social Justice Initiative is a player-led program that aims to create real change in the Tampa Bay community and Gerald was one of the first to volunteer to serve. He participated in the program’s inaugural event at the Tampa Police Citizens Training Academy, where he led a candid, and at times uncomfortable, discussion with law enforcement about issues facing society today. He also shared his testimony along with words of hope and encouragement at the Zephyrhills Correctional Institution this past Tuesday with the program. Additionally, McCoy has various repeat efforts in place. Since 2012, he’s led the entire defensive line’s involvement in their “D-Line Delivers Christmas” holiday event that provides hundreds of families with holiday gifts and experiences. He’s also implemented his “McCoy Family Christmas” annual event in 2013 where he and his family give back to single-parent households. It meant a lot to McCoy that his teammates supported him. Among those in attendance were Allen, left tackle Donovan Smith, wide receiver Mike Evans, defensive end Jason Pierre-Paul and more. 12/11: Rookie Club Visit to Johns Hopkins All Children’s Hospital – The Buccaneers Rookie Club will be visiting with children at JHACH and bringing the holiday spirit with them. 12/11: Shop with a Jock – DeSean Jackson hosts his annual “Shop with a Jock” event, taking underserved children on a shopping spree for the holidays. 12/11: McCoy Family Christmas– Gerald McCoy and his family will host their annual holiday event held at AdventHealth Training Center full of holiday surprises for single-parent families. 12/17: D-Line Delivers Christmas – The annual event where the defensive line all chips in to provide families with a full Christmas, including a shopping spree to Target with the players.